FM200 is waterless, gas based suppression system, which discharge into the risk within 10 seconds depending upon configuration for discharge. FM200 is also known as HFC227ea suppresses fire immediately. HFC227ea (formed from elements hydrogen, fluorine and carbon) remove the elements of fire triangle (Oxygen, Heat and Fuel). FM200 gas is transparent, colourless and safe for human but may cause frostbite if liquid discharge or escaping vapour contacts the skin. Fire Projects has done several designing to installation of FM200 with after sales service. Based on infrastructure and requirement we give our expert opinion to prepare BOQ. 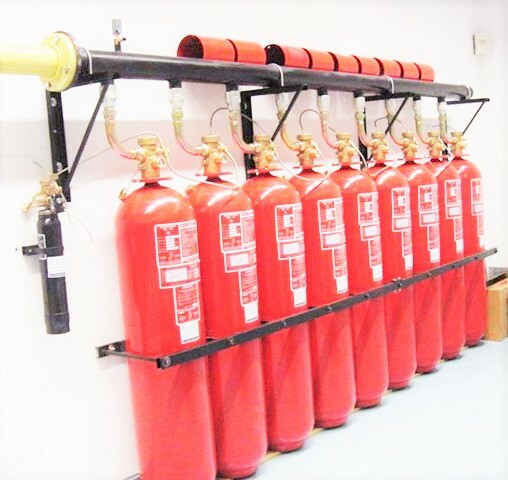 Select Fire Projects for new implementation of FM200 fire suppression system is most effective way for small to medium size data-center, UPS room, medical facilities, and telecommunication facilities. We support our clients from Designing up to Commissioning up to AMC. We also provide AMC–Annual Maintenance Contracts for all types of Fire & security Systems. 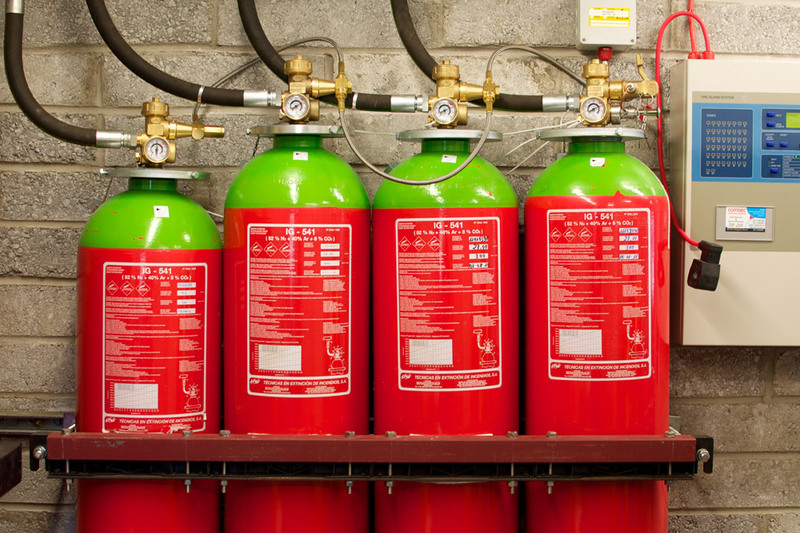 If you required new installation or AMC of fire suppression system, contact Fire Projects today! Schedule your appointment with Fire Projects on contact number +91 9824442333. Please note that after 2014 FM200 will not be available, So for new installation it is better to switch toward Fire Suppression System NOVEC1230.